ALLEMAND (Lalemand), PIERRE, pilot, cartographer, explorer, fur-trader; b. c. 1662 at Saint-Sauveur-de-Nuaillé (Charente-Maritime), son of Claude Allemand and Marie Mandet; d. 1691 at Quebec. It seems that Allemand had the opportunity of crossing the Atlantic at least a number of times before settling finally in New France. We have little information, however, about his youth and his first voyages. In the 1681 census he is mentioned as living at Quebec and being 18 years old. 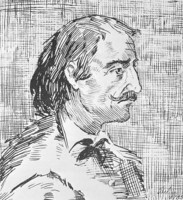 In 1682–83, Pierre Allemand took part as a pilot in an expedition to Hudson Bay directed jointly by Radisson* and Chouart Des Groseilliers. This expedition had the financial backing of Charles Aubert* de La Chesnaye. The two ships, which had left Percé 11 July 1682, did not return to Quebec until the end of October of the following year, bearing English prisoners and a substantial quantity of furs. 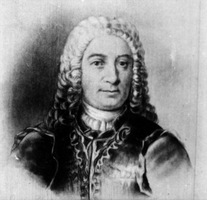 Among the prisoners was John Bridgar, the governor of Port Nelson. At the time Denonville wrote this letter to the minister, Pierre Allemand had already come back from another voyage to Hudson Bay, undertaken in 1686 with an expedition made up of some 100 men under the command of the Chevalier Pierre de Troyes. According to the log of the expedition, Allemand acted as “quartermaster,” and was “a person of great usefulness, whose inventiveness and activity were of great help in this undertaking, where he served as a good canoeist, a soldier, a pilot and a geographer.” This expedition followed the route of the Rivière des Outaouais (Ottawa), and it was anticipated that Allemand would be able to take command of an English ship if the French succeeded in capturing one, which occurred at Fort Charles (Rupert) early in July. Allemand was back at Montreal at the end of October. 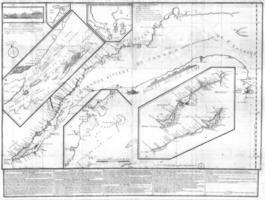 Allemand then began the composition of a Mémoire, in which he proposed to continue the hydrographic map of the St. Lawrence Gulf and River that had already been started by Jean Deshayes*. To carry out surveys, he requested a corvette of 30–40 tons. He likewise volunteered to teach navigation to the young men of the colony, in order to ensure its defence and develop its fishing and its fur trade. This Mémoire was forwarded to the minister for the Marine on 6 Nov. 1687 by Governor Denonville and Intendant Bochart* de Champigny. 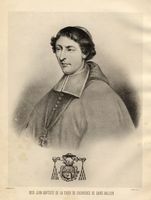 In the spring of 1688, Pierre Allemand himself went to France, and, using as references the names of the governor, the intendant, and Bishop Saint-Vallier [La Croix*], he presented to Seignelay a second Mémoire composed in roughly the same terms, but it was no more successful than the previous attempts. That same year, Allemand was associated with a certain Landron in the operation of a brick-works. 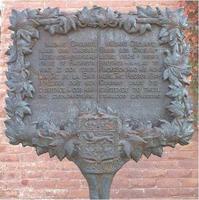 During the summer of 1689, he escorted Bishop Saint-Vallier on his rounds in Acadia and Newfoundland. Finally, still in 1689, a grant of land was made to him, as well as to Charles Aubert de La Chesnaye, François Viennay-Pachot, Mathieu-François Martin* de Lino, and a few others, in order that they could fish in the Gulf of St. Lawrence and off Newfoundland. It can be seen, therefore, that Allemand had a quite varied career, in which illegal undertakings, and specifically smuggling, were not perhaps unknown. On 27 May 1691, Pierre Allemand died at Quebec, when he was only about 29 years old. He had had five children. His widow married again, in 1693, her second husband being Nicolas Pinaud*. Chevalier de Troyes, Journal (Caron). Documents relating to Hudson Bay (Tyrrell). HBRS, XXI (Rich). Ord. comm. (P.-G. Roy), II, 49–53, 56. Relation par lettres de l’Amérique septentrionale, années 1709 et 1710, éd. Camille de Rochemonteix (Paris, 1904). P.-G. Roy, Inv. concessions, IV; “Le pilote canadien Pierre Allemand,” dans Les petites choses de notre histoire (3e série, Lévis, 1922), 145–54) (includes extracts from Allemand’s Mémoires; “Pierre Allemand,” BRH, XXI (1915), 129–33. F. Grenier, “ALLEMAND (Lalemand), PIERRE,” in Dictionary of Canadian Biography, vol. 1, University of Toronto/Université Laval, 2003–, accessed April 24, 2019, http://www.biographi.ca/en/bio/allemand_pierre_1E.html.